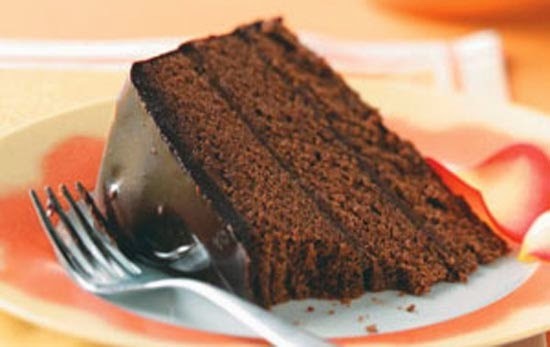 Yummy double- layered chocolate cake is very delicious. It is very easy recipe. You can serve it on special occasion like birthdays by making it at home with less time.Here are method to make it with simple steps. We can make two type of double layered truffle cake. Here are two methods to make a cake i.e white chocolate cake and dark chocolate cake. in this only the truffle icing is different tip is same for both cakes. In a microwave proof bowl, add cream and chocolate. Mix well till there are no lumps and till it resemble a smooth sauce. Stir the truffle over a bowl of ice to cool quickly. To make a white double layer truffle chocolate, In a microwave proof bowl, add cream and chocolate. Microwave on high for 45 seconds. Mix well till it resemble a smooth sauce. Slice the chocolate cake horizontal into three equal parts. 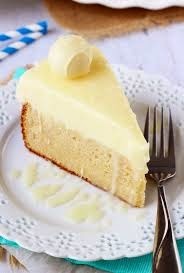 Place one layer of cake on a serving plate and sprinkle 1/3 of the soaking syrup in order to make the cake moist. Spread half of the dark chocolate truffle icing over the cake layer. Sandwich with another layer of the cake. Moisten this cake layer with a little soaking syrup. Spread the white chocolate truffle icing top of the third cake layer. Moisten this cake layer with the remaining soaking syrup and spread the remaining dark chocolate truffle icing on top and sides.